Complete Computer Management System that is completely programmable for that project engine with future changes in Mind. 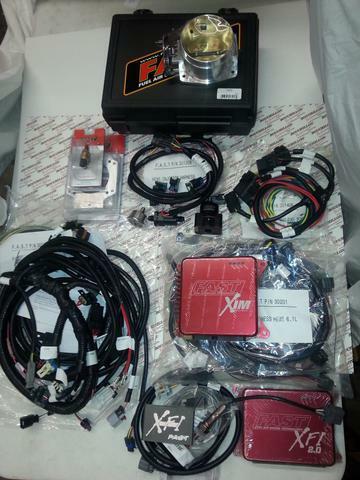 This kit is specifically made for 2003-2008 5.7L & Stroker Based 5.7L NON VVT Engines. Based off FAST's easy to tune system. Includes all components to make your Gen III Hemi a terror of the road. System comes complete with all engine management harnesses required for installation, Cable Operated 92mm Throttle Body, Compete FAST XFI 2.0 System, XIM Ignition Module, Wide Band O2 Sensor, Temp Sender and Air Charge Sensor. Dyno Not required. Tuned with Laptop Computer. All Nec. Wiring, complete with instructions & computer disc.